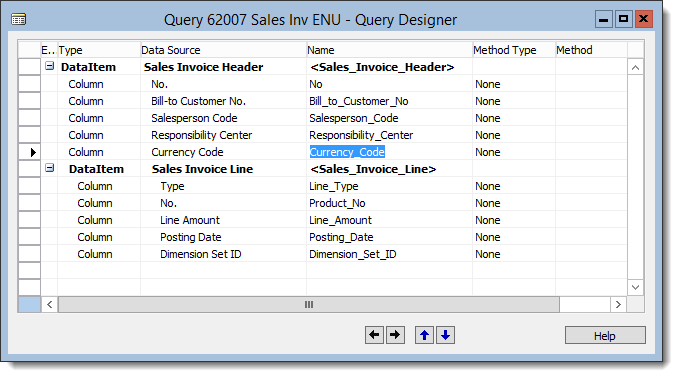 Last year we blogged about how to use Power Query to create reports across all companies. – see here. That approach is still valid with the new Power BI. However it has a few drawbacks that we would like to overcome with a new, better solution. The main issue about it is that adapting it to another data source requires some rework. It is necessary to adapt the Power Query source code to each query that should show data across companies. 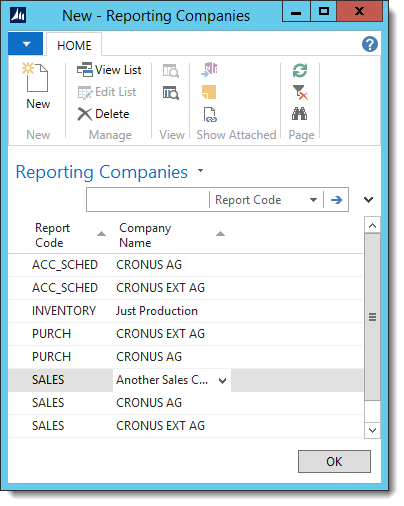 Additionally last year’s solution is missing a way to selectively include or exclude companies on a report per report base. We will address both issues in order to provide a more repeatable approach. We will publish these objects as web services in order to user them as OData-Feeds. Today we are using Power BI Desktop (formerly Power BI Designer) to create the data model. The same steps would work in Excel 2013 with Power Query or in Excel 2016 (Data tab) as well. We are using this query to have a single place to change the connection.  CompanyName and TableName are the input parameter that this function expects. 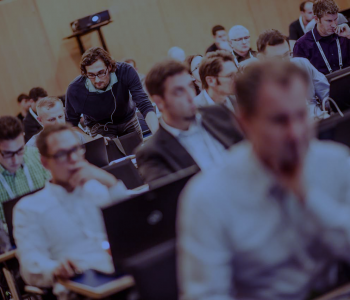 In the first line starting with “Source =” It will connect to the OData-feed by using the previously defined query ODataBaseQuery. 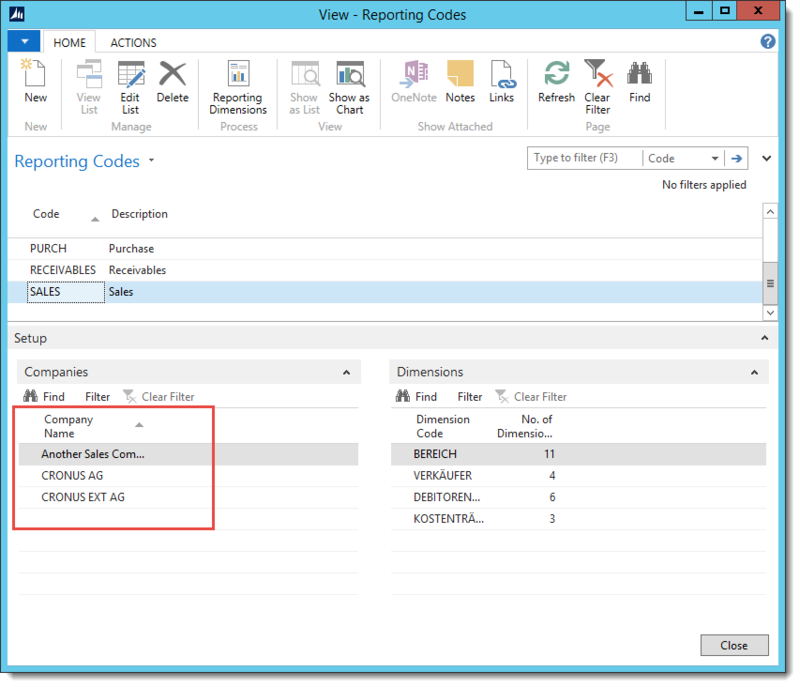 It is calling the RecordsPerCompany function for each row of a query called ReportingCompanies. 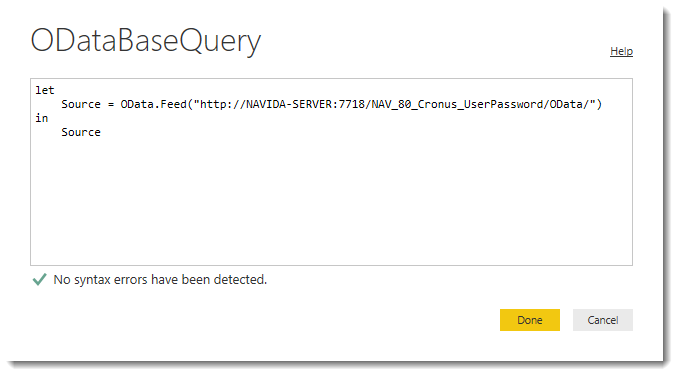 Instead of using this custom structure it would also be possible just to return all companies in this query or to make the selection in Power Query instead of NAV. This function shows a nice aspect of Power Query functional language. We can use our own function (RecordsPerCompany) and apply it a list of records by using List.Transform. If only transaction tables need to be based on all companies, the data modeling part would be exactly the same as on any single-company scenario. The table relations would have to be established and measures need to be defined. However this only works if all lookup-tables (master data) such as customer, item or G/L-Account would have already been synchronized across all companies in NAV – either by some sort of master data company process or just by defining the table as DataPerCompany=no. In other cases where both the transaction and the lookup-tables need to be sources by multiple companies, additional steps are necessary. We will go through the steps to handle cross-company lookup-tables in a subsequent blog-post.